Choosing the Right Bass Guitar, Part 1: Four-String or Five-String? The number of strings on your bass can have a big impact on your playing. Life is often at its best when you have choices, but sometimes having good choices makes for hard decisions. Such is the case for bassists who are wondering whether to buy a four- or five-string bass. Who knew that adding a single string could complicate things so much? Here are the pros and cons you need to know when considering whether a four-string or a five-string is right for your arsenal. The physical characteristics of every bass are subtly different, but they boil down mostly to string spacing, neck width, neck profile, scale length and overall weight. When you step up from a beginner four-string bass to a pro four-string model, those factors may change very slightly in one direction or the other, but they will seem far more extreme when you move from any four-string to a five-string bass – something we discuss in the “Five-String: The Cons” section below. Sure, you’ll gain access to more notes and more flexible hand positioning on a five-string bass, but will the trade-off for “more” be worth what you have to get used to as a result, and how will it impact your playing? So ask yourself: Do I need the extra string, or do I just need a better four-string bass? Sometimes buckling down to get better at what you already know is better than jumping into something new, and sometimes having more note choices is actually a bad thing. When it comes to bass, the right note is far more important than the most notes. You may think that a five-string bass will act like steroids for your creativity and take you to some new level of greatness, but perhaps mastering your playing within the “limited” confines of a four-string bass is what you need instead. And that’s certainly way better than spending time onstage or in the studio worrying about where you are on the neck or overthinking whether you should play a note on the low-B string. The four-string bass is really all you need to lay down a tasty, economical groove and has more than enough range for you to play an innovative solo. There’s nothing inherently wrong with a four-string bass, but if you’re a pit, studio or session musician who is regularly expected to transpose parts and deal with key changes, playing a four-string may not be enough to keep the gig. Of course, you could get a little extra low-end out of a four-string bass by adding a drop-D tuning machine or using an octave pedal in your signal chain, but those hacks still won’t get you below a low C, and even then, those lower notes still won’t sound tight. If the material you’re playing relies heavily on the extended low range, a four-string bass simply can’t compete with a five-string. The biggest advantage of the five-string bass is its extended lower range. From the fretted low-E all the way down to the chest-imploding low-B, the five-string provides a gateway for exploration into previously uncharted territory. The expanse down to the low-B is considerable — both felt and heard — and rewards you with thick and palpable low-end note choices that a four-string bass can only deliver via altered tunings or effect pedals that color your tone. 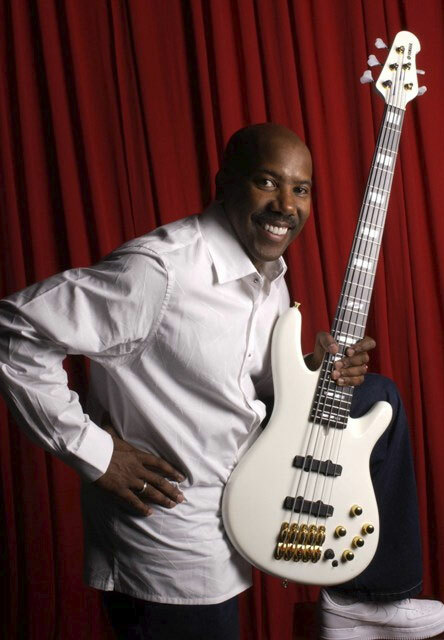 Nathan East with his signature Yamaha BBNE2 five-string bass. Exciting possibilities open up on a five-string bass when you realize a song in C can now be played an entire octave below where you’d normally play it on a standard four-string. That type of sonic shift enables you to alter the entire character of a verse, a chorus, a lead section or even an entire song … and not just your part in it. An additional bonus to having an extended lower range is that, as your bass patterns migrate lower, your sound will naturally carve out more isolation in the overall mix because your note choices won’t regularly compete with mid-range frequencies from guitarists and vocalists. But perhaps the biggest benefit a five-string bass brings to the party is how that extra string can simplify the way you play your basslines from nearly every position on the neck. For an extreme example, think about the need to dramatically shift your hand position on a four-string bass to play a descending two-octave run. On a five-string bass there is no sweeping change of position — all it takes is a subtle shift down for the same outcome. The end result is more efficient hand positioning and less wasted energy, and with more note options available. If you use a pick or play slap bass you’ll quickly realize that palm-muting the B-string is a necessity unless you like the incessant, rumbling drone of an open low-B. If you’re a finger-style player (as opposed to using a pick), you’ll likely rest your thumb on that bottom string as you play, but you’ll still need to be ever-mindful of muting it as you move around the fretboard. Perhaps more critical is the fact that you’ll invariably notice that most five-string basses feel different in your hands compared to four-string basses. For starters, some five-string bass designs rely on a 35-inch scale length to keep that low-B string tension taut (an inch longer than the 34-inch standard found on many four-string basses). But you’re more likely to notice that a five-string will either have narrower string-to-string spacing or a wider fretboard (especially as you move up the neck) to accommodate the B string. This also means that neck’s profile (its curvature and thickness measured from the exposed face of the fretboard to the back of the neck) may have different contours, may be slightly thicker, and may feel heftier. Depending on your personal taste and the bass in question, these nuances can be subtle or substantial, but these are all deviations from the basic four-string design that may require you to make frustrating refinements to your playing technique, particularly if you’re a slapper. It all boils down to what you’re used to and how comfortable you are adapting your playing to get what you want. The most important thing to remember is that this doesn’t have to be an either/or decision: In a world where there are so many great four- and five-string basses to choose from, you can have one of each! Click here for more information about Yamaha basses. 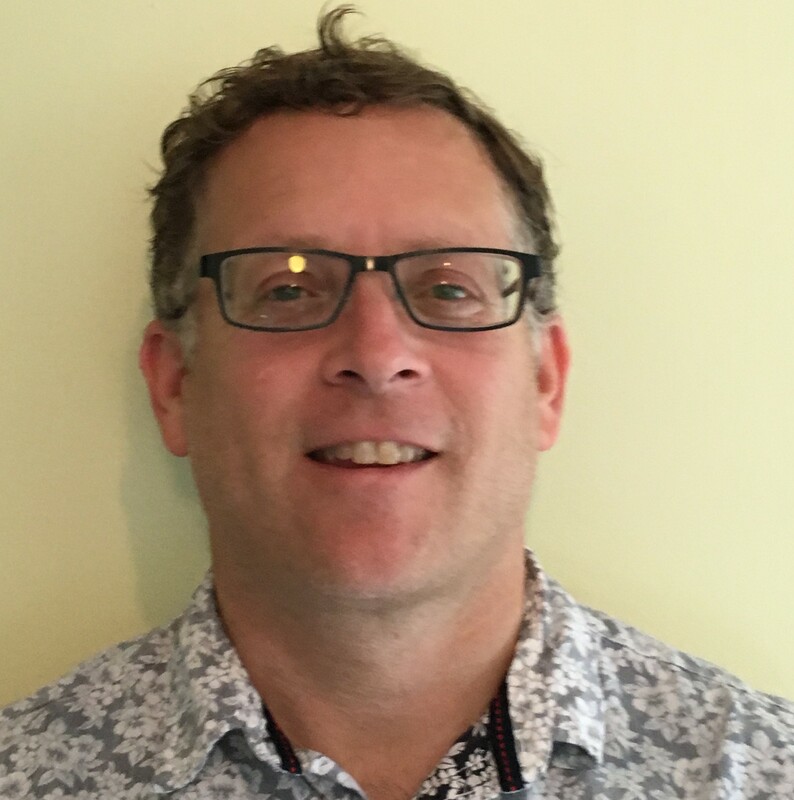 Michael Gelfand is a bass player and former senior editor at Musician magazine who has written extensively about music and musical equipment for many mainstream publications and websites. He lives in a log cabin on the wooded outskirts of New York City with his wife, twin sons and a disobedient Siberian husky, where he spends a lot of time rationalizing why any sane person needs 12 basses and a 2,000-watt 2 x 15 bass rig in a 90 square foot work space.